In the Aztec culture before this appearance of Mary in 1531, it is estimated that over 20,000 people – mostly children – were sacrificed to the gods every year. Saint Juan Diego was one of only a few Catholic converts when the Blessed Virgin appeared to him. She told him that she wanted a church to be built, and that he was to tell the Bishop (who did not believe him, of course). Mary instructed Juan to pick roses, which he gathered in his cloak called a tilma. When he opened his cloak to show the Bishop the roses, there was a beautiful picture of Our Lady on the inside just as she had appeared to him. The Bishop was stunned at this miracle and had the church built. Six million Mexicans converted to Catholicism because of the miraculous image of Our Lady, who pointed them toward the true God, herSon. Also, the practice of human sacrifice stopped. The same tilma is on display today. Tests have revealed that there are no brush strokes and that the image is not the work of a painter. It is a poor quality cactus-cloth, which should have deteriorated in 20 years, but it shows no sign of decay 470 years later, defying all scientific explanations. In 1921, a bomb (hidden in a vase of flowers) placed beneath the image exploded, causing severe damage to the church and altar, but nothing happened to the tilma. 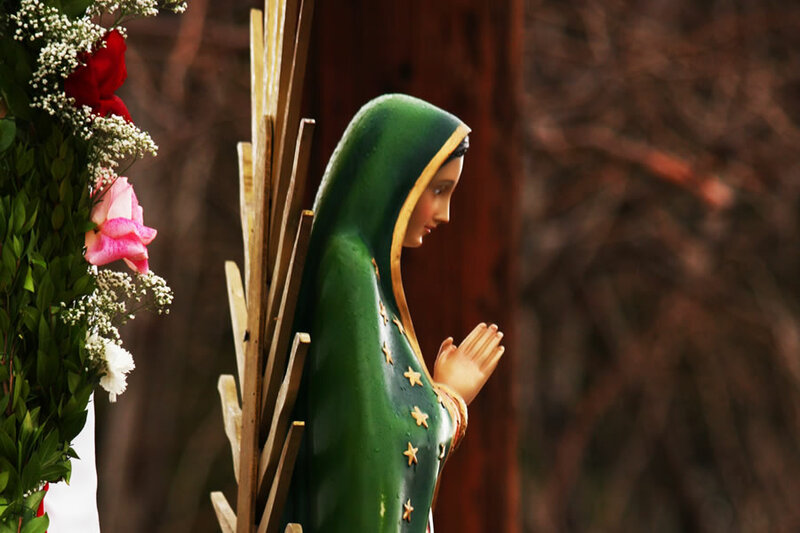 Our Lady of Guadalupe is the Patroness of the Unborn and of all the Americas. Come and hear more about this special feast that has transformed thelives of millions. Finally, a few observant parishioners have noticed that this year Christmas Eve falls on a Sunday. What are our responsibilities in terms of Mass attendance? Should we attend two Masses in a row? The short answer is, yes, we should attend both Mass for the Fourth Sunday of Advent and Mass for the Holy Day of Christmas. Recall that Sundays and Holy Days are not burdens – they are opportunities to be filled with incredible graces beyond even our full understanding. As one cannot spend too much quality time with one's spouse and children, the same goes for the time we spend saying "I love you" to Jesus through the Most Holy Eucharist – the Mass, His very Sacrifice for oursalvation.